Health Minister Rajitha Senaratne who left for Singapore seeking medical care returned to the country last night (17) , in a Sri Lankan Airlines UL 309 flight from Singapore. 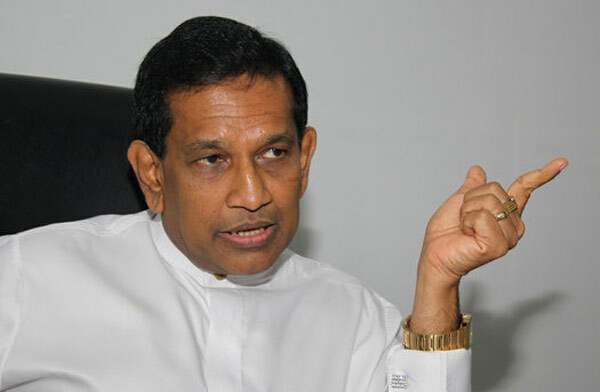 Senaratne was admitted to the Mount Elizabeth Hospital on February 16 , Singapore due to a sudden ailment . The Minister had undergone a number of tests at the hospital, according to the Media Unit of the Minister. I think it is a disgrace for a minister of health to seek medical services else where when not in his own country. this just shows the trust he has in the country services and further in whick he is in charge. What are these tests he is unable to perform in Sri Lanka. Minister should publicly declare the shortcomings and what he plans to do other Sri Lankans who need the same tests. Is he recommending them to go to Singapore for these tests?